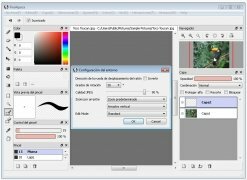 FireAlpaca is a simple image and photo editor that allows us to carry out the basic operations in a comfortable way, thanks to the possibility it offers us to work with projects by means of tabs, a complete set of editing tools and how easy it is to use. Allows you to work with layers. 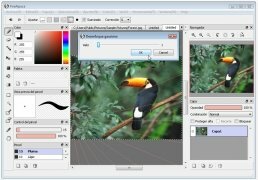 Open several projects simultaneously distributing them into different tabs. Includes tools to treat the color. 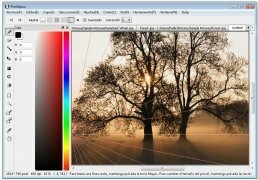 Supported image formats: JPEG, PNG, BMP, PSD and MDP, to the software's own format. 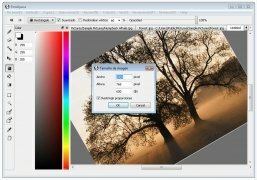 FireAlpaca is a totally free product with enough potential to become the majority of users' default image editor. Its interface is rather simple and clear, something that makes it easier to use. As with the majority of traditional editors, the interface uses the center part to preview the image and your work, and leaves the side to place the editing tools, the layer panel and file browser. 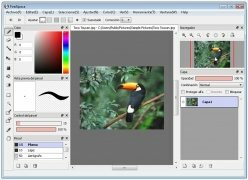 Download FireAlpaca for free and get hold of an alternative to work with images and photos.